Good news for us performance fans as Audi Ireland has revealed the pricing of its new RS 5 Coupé. The new high-performance coupé, which combines elegant aesthetics with everyday usability, starts from €110,750 OTRP. 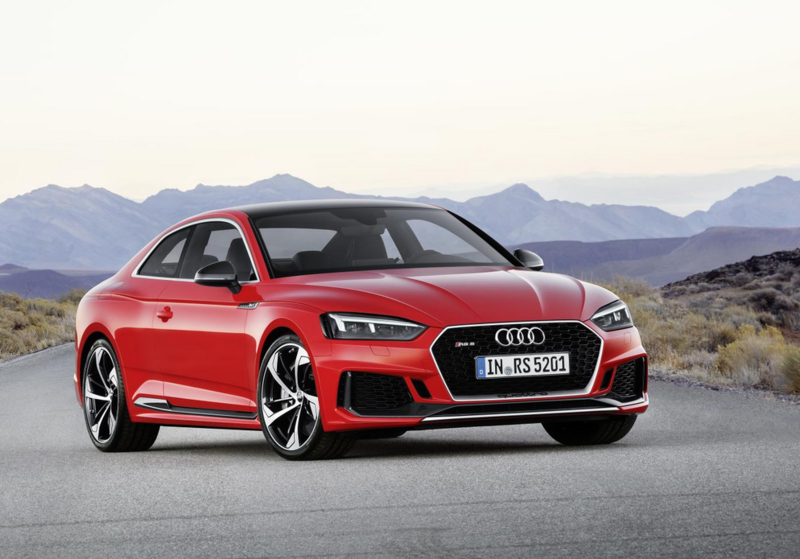 The new Audi RS 5 Coupé represents the gran turismo of the RS models from Audi Sport, with a 2.9 TFSI V6 bi-turbo engine, which has been engineered to provide superior performance and higher efficiency. The 2.9 TFSI V6 bi-turbo engine offers sharper acceleration with that unrivalled full-bodied RS sound. It delivers 450 hp and a peak torque of 600 Nm more than its predecessor. As the top model in the A5 family, the RS 5 Coupé sprints from 0 to 100 km/h in 3.9 seconds and reaches an impressive top speed of 250 km/h, with an optional upgrade to 280km/h. The dual turbochargers of the 2.9 TFSI unit are centrally positioned inside the V of the engine, each supplying a single cylinder bank, resulting in sporty, direct responsiveness. The quattro permanent all-wheel drive is a unique selling point in the segment. With its dynamic setup, it makes a great contribution to the sporty yet stable handling of the new RS 5 Coupé. The optional Sport differential, with RS-specific tuning, ensures an even more dynamic response when turning corners and accelerating. It distributes the torque actively and in a targeted manner between the rear wheels, improving the car’s overall agility, precision and stability. The all-new Audi RS 5 Coupé combines an athletic, sporty look with a contemporary, classic and elegant design. Its new lightweight structure weighs in at only 1,655 kilograms – 60 kilograms less than its predecessor. 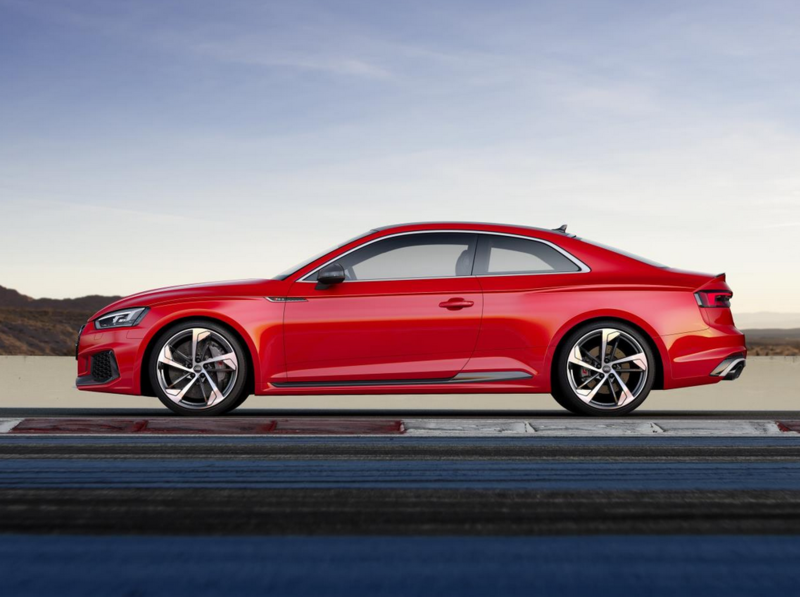 Drawing inspiration from the world of motorsport the RS 5 Coupé incorporates elements of the distinctive racing details of the iconic Audi 90 quattro IMSA GTO. The singleframe radiator grille is much wider and flatter than in the standard model and comes with 19-inch forged aluminium wheels. The sporty look and feel of the car continues through its RS-specific diffuser insert, oval tailpipes of the RS exhaust system and a surface-mounted spoiler lip. 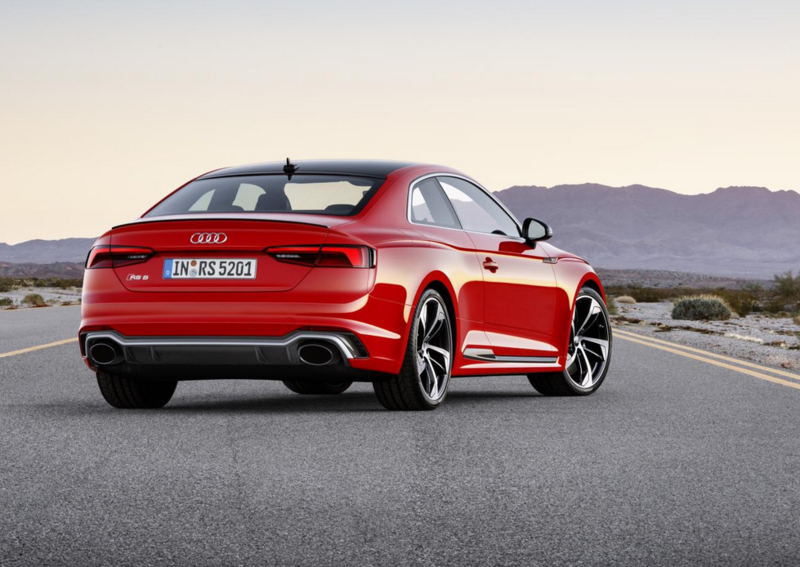 With a length of 4,723 millimetres, the new RS 5 Coupé is 74 millimetres longer than the previous model. Previous articleNew Volkswagen T-Roc Goes Live!